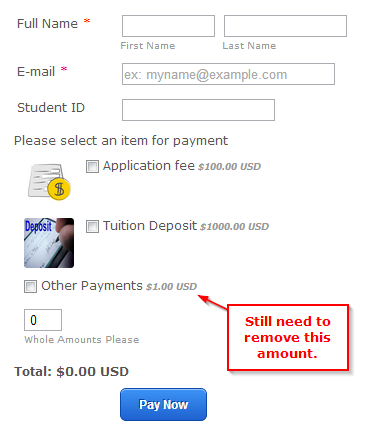 how do i add an option in the papal payment field of my form to give my customers the option in input their desired dollar amount NOT quantity amount. There is a workaournd to use custom quantities box. 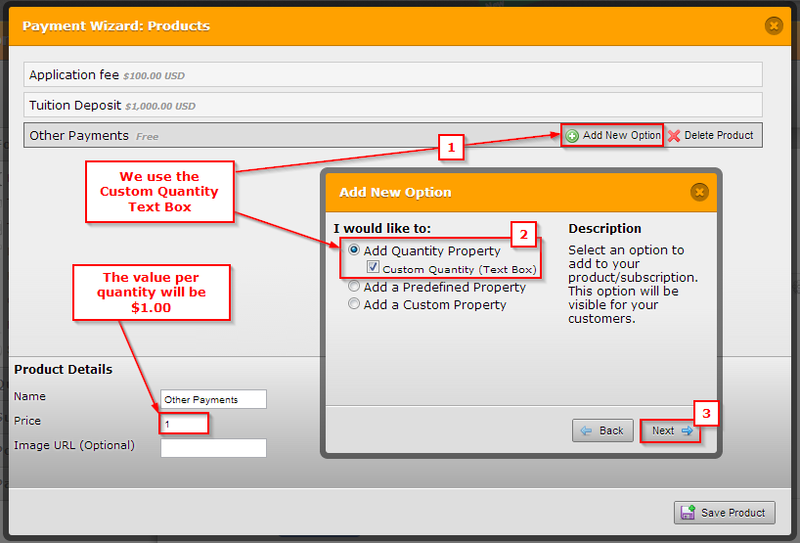 The main idea is to have the user input a number and the value of the quantity is a dollar. So for example, the user types in 12, since the value of each quantity is a dollar, $12.00 will be added to the total amount. 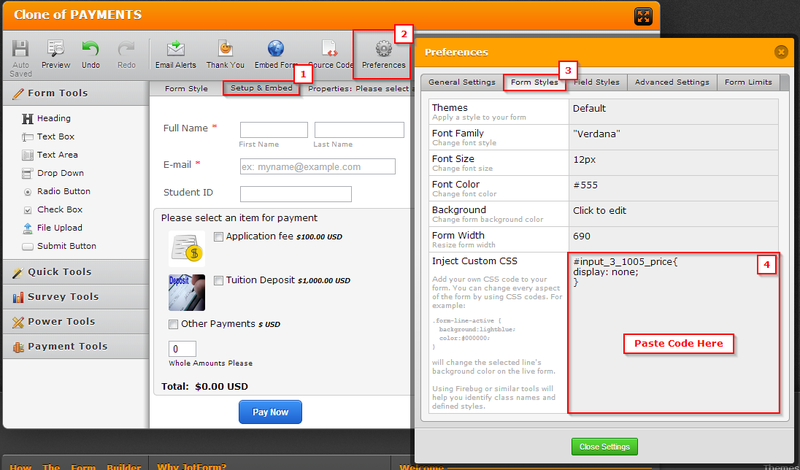 Now, mind you, to have this type of form customized better. I would suggest to finish the form the way you like it and export a copy of your source code to embed directly to your site. This is the second screen of the Add New Option Wizard, here we are changing the message of quantity to Use Whole Amounts, as the decimal will not work on this Textbox. 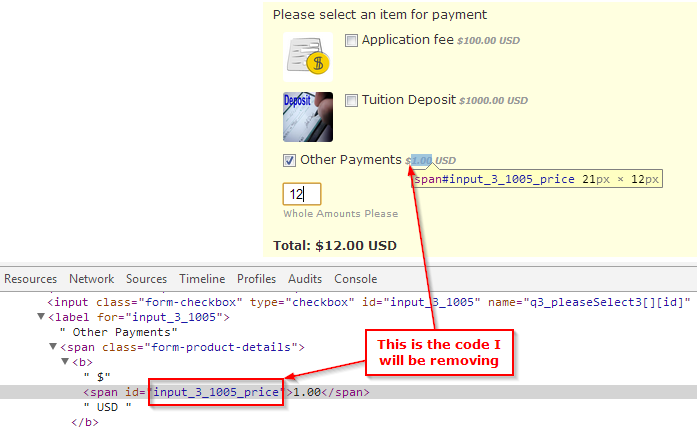 This is where you will need to then inject some CSS code to remove the $1.00USD amount. Go to Setup & Embed / Preferences / Form Styles / Inject Custom CSS and Inject the code on this box. Finally after doing all those steps, this is my example form. Mind you, you could also embed the actual source code on your website and customize it even further, for example to restrict users from typing anything other than a whole number. If you do need any assistance, do let us know. Thank you.